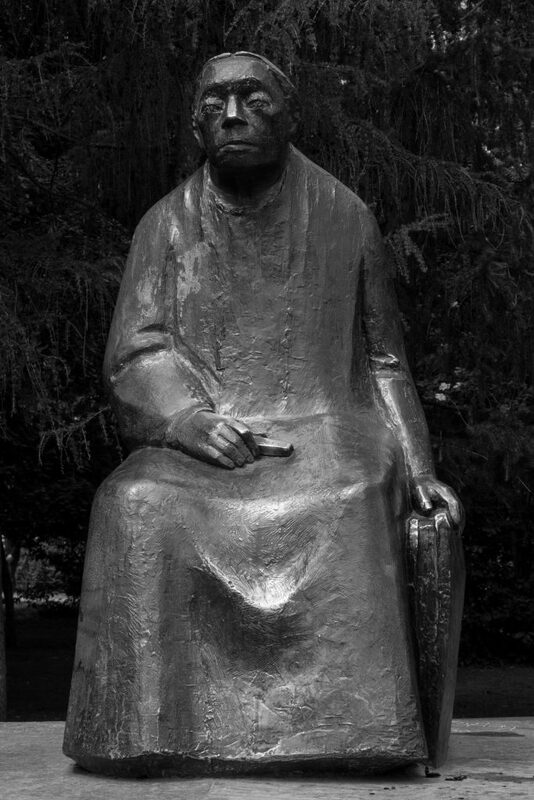 Regal and somewhat worn, a bronze statue of German expressionist artist and activist Käthe Kollwitz (1867–1945) gazes out over the playground at Kollwitzplatz in her former neighbourhood. 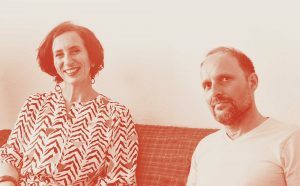 The children of Prenzlauer Berg clamber onto her lap and sit on her knee, the skirt gleaming with patches of gold where the bronze has been polished by generations of hands. 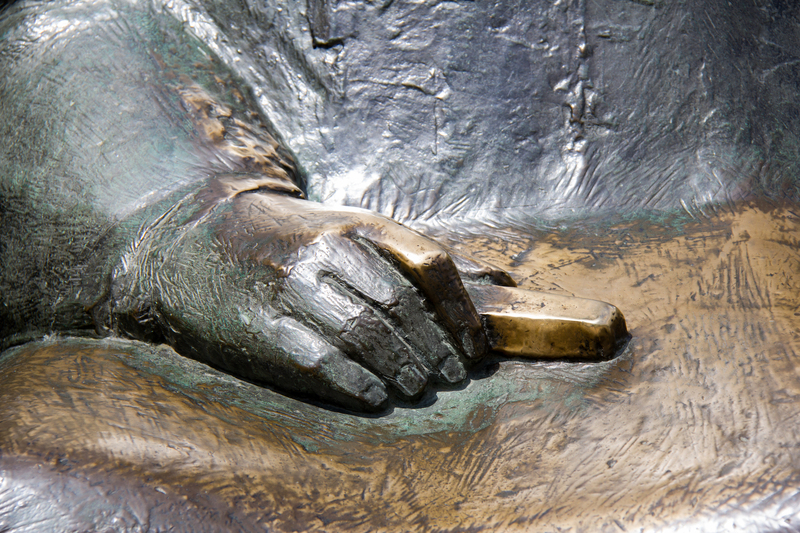 Like Berlin’s other monuments and Denkmalen, the statue is a treasured fixture of the Kiez, and the 150th anniversary of Kollwitz’s birth offers us the perfect opportunity to give an introduction to this amazing woman for the uninitiated. Having borne witness to two world wars, Käthe Kollwitz critiqued the tragic impact of conflict on society with vivid and emotional art. 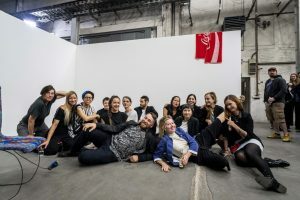 Her life’s work had an immeasurable influence on the art world and on the city of Berlin, which will celebrate her 150th anniversary with several events this year. Kollwitz remains a powerful symbol of feminism, activism and resistance – her work mourning a tragic past and seeking a better future. Growing up in an unusually liberal, middle-class family, Käthe Schmidt was encouraged to pursue a career in art. She studied painting in Berlin and Munich before finding her calling in graphic art, devoting herself to etchings, lithographs, woodcuts and drawing. In 1891, she married Karl Kollwitz, a doctor for working-class Berliners, and in his patients she found new subject matter. 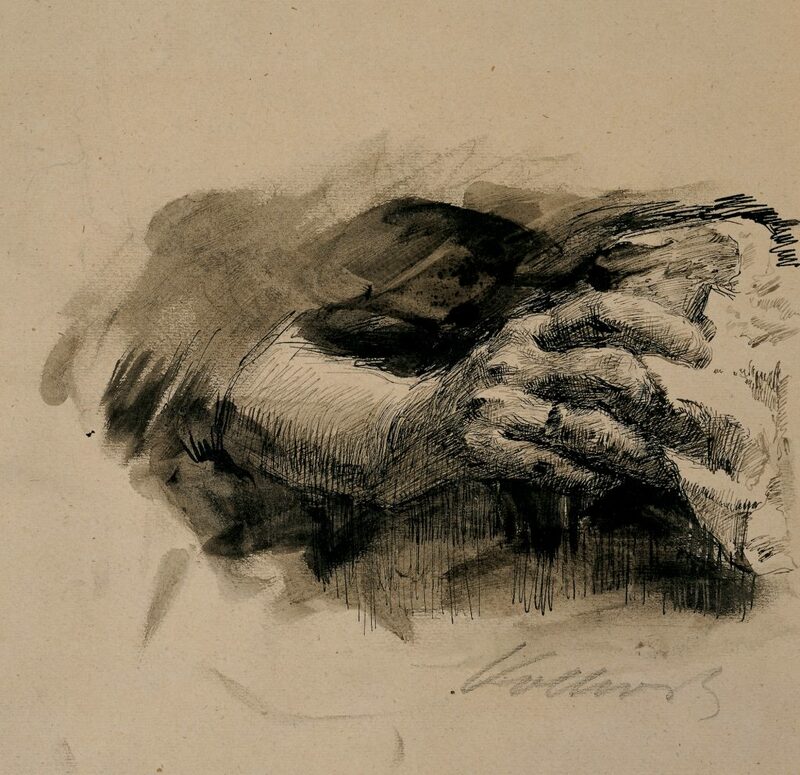 With incredible tenderness, Kollwitz depicted the daily struggles of poor and working-class families. 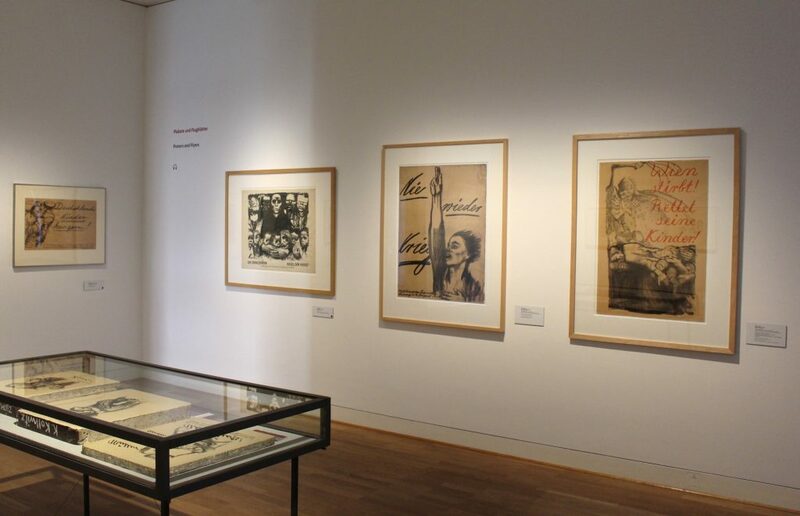 She focused on the oppression of women and children in particular, and found printmaking a useful medium for creating and distributing her provocative artworks. She became popular amongst the German working class, and made her art readily available to the masses as prints, posters and postcards. A critical turning point in Kollwitz’s life was the death of her youngest son, Peter, who was killed in combat during World War I. From that moment on, Kollwitz embraced pacifism and dedicated her art to inciting social change, increasingly turning to darker themes such as sacrifice, death and mourning. She spent the years from 1924 to 1932 working on a memorial to her son: Die trauernden Eltern (The Grieving Parents). The granite sculpture depicts Kollwitz and her husband bowing over their son’s grave, wrought with the pain of losing a child. 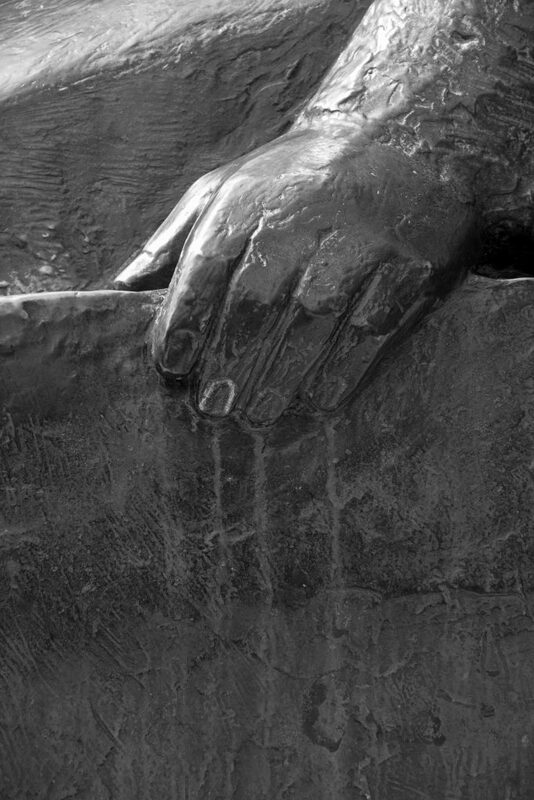 In addition to memorialising her son, Kollwitz’s sculpture pays tribute to all the children who were lost during the war. "Her proto-feminist work portrays individuals with compassion and strength, speaking out against injustice and calling for reform." In the following years, her work reflected the legacy of the trauma inflicted by war, particularly upon women. With dark, hollow eyes, heads bent in sorrow, and large hands clutching dead bodies in agony, Kollwitz’s images convey the cruelty of war in all its wretchedness. Figures emerge from a black abyss, shaped by the artist’s expressive lines. The pain of loss is wrought in colourless fury. Mothers’ cries are heard from the shallow depths of ink on paper. 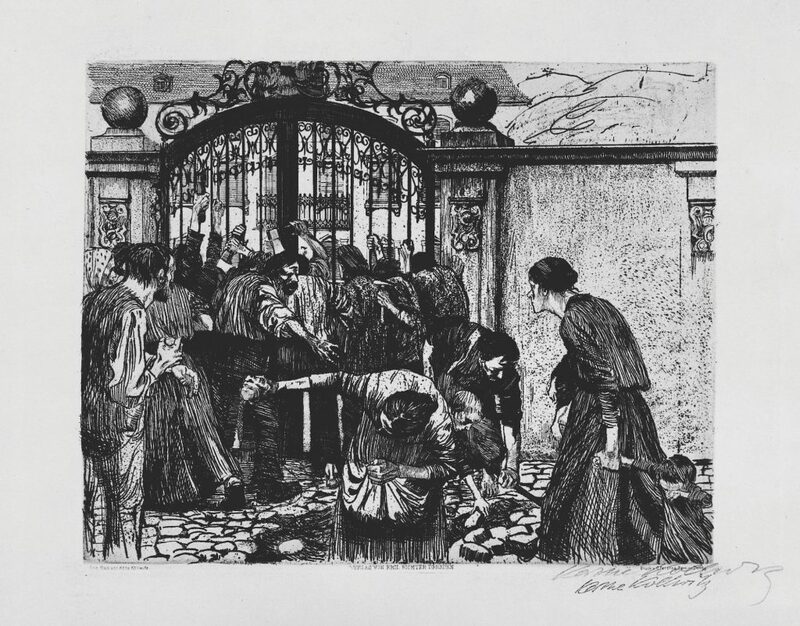 Kollwitz also devoted her art to social justice causes: from advocating for abortion and contraception rights to class equality, Kollwitz created complex images that called attention to women’s issues. Her bold prints, posters and sculptures were a passionate outcry against violent injustice. Kollwitz continued to produce dark, socially critical work, but her international acclaim arose from her talent as an experimental artist as much as from her subject matter. She was elected the first female professor of the Prussian Academy of Arts in 1919, proving that she had established herself as a formidable success in a world dominated by men. However, in 1933 the newly-elected Nazi party forced Kollwitz to resign from the Academy, prohibiting her from exhibiting, and classifying her art as ‘degenerate’. They would later appropriate her art for propaganda, recontextualising her anti-war imagery for their manipulative purposes, including a claim that her ‘Hunger’ series showed victims of communism. Kollwitz nonetheless was steadfast in her pacifist beliefs and continued to work. Her last great series of lithographs, titled Tod (Death) (1934–37), was even darker, starker, and more emotional than before. The following years were filled with loss as World War II raged. Kollwitz’s husband died in 1940 and her grandson was killed in battle two years later. In 1943 she evacuated Berlin, shortly before her apartment was destroyed in a bombing that claimed much of her life’s work. Kollwitz died in the spring of 1945, just two weeks before the war in Europe ended. 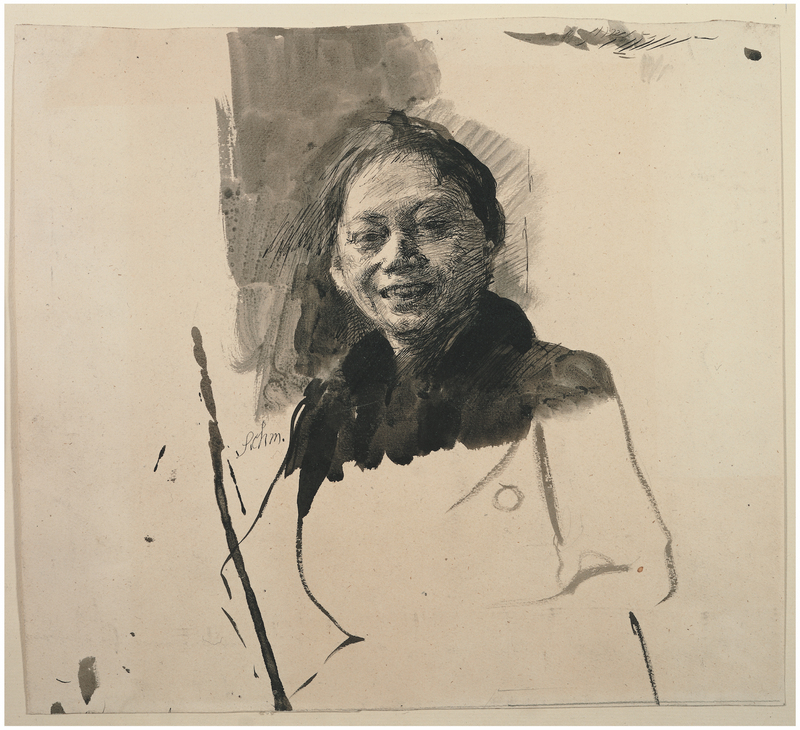 To the end, Käthe Kollwitz was an audacious artist and advocate for the oppressed. In museums and monuments across Berlin, her artwork makes her an ever-watchful presence in the city. Her proto-feminist work portrays individuals with compassion and strength, speaking out against injustice and calling for reform. And although Kollwitz’s dark figures, shrouded in death, haunt our present moment with their fierce critique and painful memories, they also burst forth with life. Her artwork speaks with a mother’s love, bearing the pain of tragedy while tenderly lifting us up – like children she cradles in her lap – urging us to strive for a better future. Find out about all the special events honouring Käthe Kollwitz in 2017 from the Käthe Kollwitz museum.